Bad data is worse than no data. It leads to misleading, incomplete and confusing information, lowers adoption and is one of the top three reasons for why CRM projects fail. 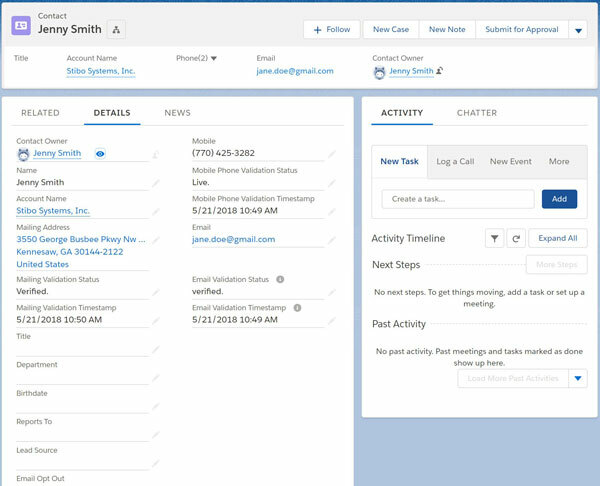 Salesforce is used widely by enterprises who are looking to organize their contacts (such as prospects, customers, and suppliers) while keeping track of their engagement process, but most of these users have challenges in keeping records clean and accurate. Through our Customer MDM solution, enterprises can leverage the certified Salesforce app to achieve and maintain a 360° view of customers. Maintain high-quality data within Salesforce and gain a single, unified view of customers that is verified, accurate and complete. 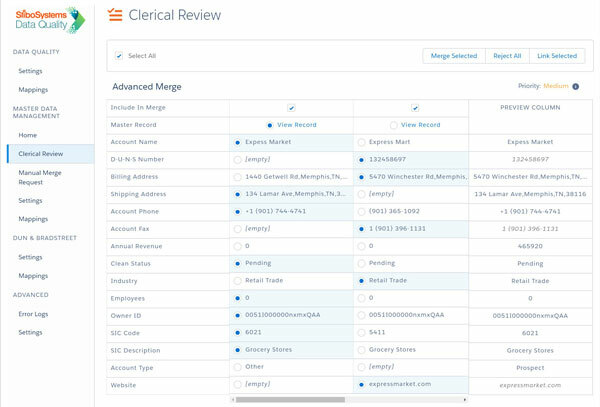 The app provides key data management capabilities directly within Salesforce, including real-time contact data validation, deduplication, in-app master data management, ongoing data monitoring and data stewardship, as well as Dun & Bradstreet enrichment. Duplicates can ruin your customer data. They make it hard to understand how many customers you have, and cause confusion on what information is current about them. The CMDM for Salesforce app enables enterprises to eradicate duplicates at the point of entry and continuously monitors them so the data within Salesforce is clean and reliable. Discover how analytics together with Customer Master Data Management make personalized outcomes possible so you can increase your company’s revenue. How a complete customer view delivers better business outcomes. Learn about the elements of a 360° customer view and why it matters to your business.